Alexis' legs were shattered after a man accidentally shot himself in the foot with a hunting rifle, and the bullet pierced the floor and then struck the boy. March 14, 2016. 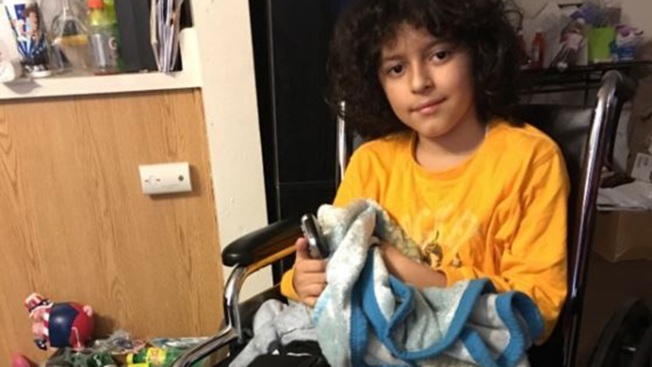 San Jose police are raising funds for a boy whose legs were severely injured when a man accidentally shot himself in the foot with a hunting rifle, and the bullet pierced the floor and then struck his young neighbor. 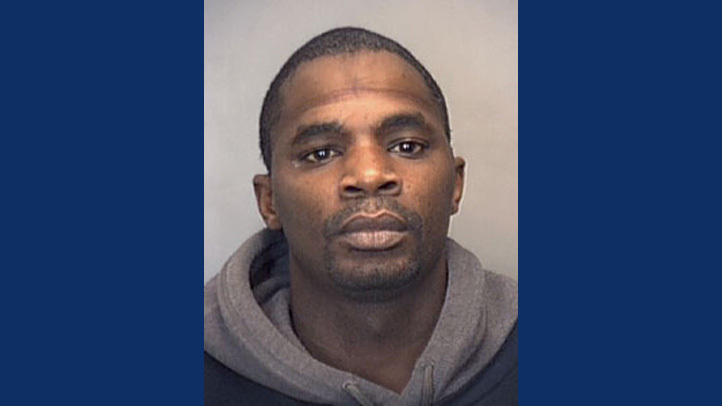 Police identified the man accused of firing the .30-06 rifle on Oct. 28, 2015 as Eric Smith. The 40-year-old convicted felon was arrested on suspicion of negligent discharge of a firearm, being a felon in possession of a firearm and being a felon in possession of ammunition, Police Sgt. Enrique Garcia said. According to a YouCaring page that has been set up on behalf of 9-year-old Alexis, the boy sustained major injuries when he was shot while sleeping in his bed. The bullet traveled through the child's room's ceiling into his leg, breaking bones and skin. "I was dreaming about my soccer game from the last weekend and how I missed a goal when I was woken up by a loud explosion and my legs started to hurt," Alexis told Detective Huan Nguyen with the San Jose Police Department's Assaults Investigations Unit, according to the crowdfunding account. Booking photo of Eric Smith. As of Monday morning, Alexis' fundraiser had been shared 330 times and 32 people had donated $2,840 of a $50,000 goal. Pictures show a curly-haired Alexis with a boot on his left leg and a brace on his right. Rosalind Bonds said her sister, who is Smith's live-in girlfriend, and the couple's teenage daughter were in Smith's apartment when the gun went off. She said she didn't know why Smith had the rifle or if he hunted. Police were called to the Almaden Apartments on the 1900 block of Almaden Road around 5:45 a.m. Oct. 28. Investigators found that the bullet had traveled through the floor of the upstairs apartment and hit the boy, who lives in a first-floor unit of the two-story duplex. "The floor didn't stop the bullet," Lt. Mike King told NBC Bay Area at the time, adding that anyone with a weapon "has to be careful handling it in the house." Bay City News contributed information to this report.